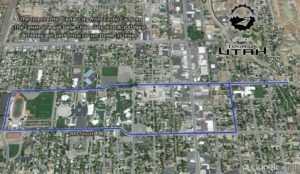 CEDAR CITY – The Cedar City Council finally approved changes to the dog ordinance Wednesday night, a decision that took four weeks to finalize. In what turned out to be a compromise within the legislative body, the council members voted to maintain the integrity of the ordinance by continuing to allow residents to own up to two dogs. However, the city will not enforce the limitation on dog ownership except under certain circumstances. Under the ordinance changes, which go into effect immediately, residents can own more than two dogs so long as they don’t get in any trouble. If in one year owners with more than two dogs receive three nuisance citations for their animals, authorities will move to get a court order to remove any of the dogs to bring the number back down to two. The council also made the dog licensing requirement optional so residents are no longer required to license their animals, but can if they want to. This change made Councilman Paul Cozzens happy who felt it was pointless to have the requirement on the books. Cedar City resident Winn Isom, who received a citation after his dogs got out of the yard, initially raised the issue about changing the ordinance to allow residents to own more than two dogs. Isom later retracted his request following weeks of debate that brought in several other issues and more residents than he had expected. In other business, Bryan Dangerfield, director of Leisure Services and Events, and Ellen Treanor, Executive Director of Brand Strategy for Southern Utah University, announced the finish line for Stage 1 of the Tour of Utah. Cyclists will finish the first stage at the block of 300 West and University Boulevard in front of the brand new Southern Utah Museum of Art building. 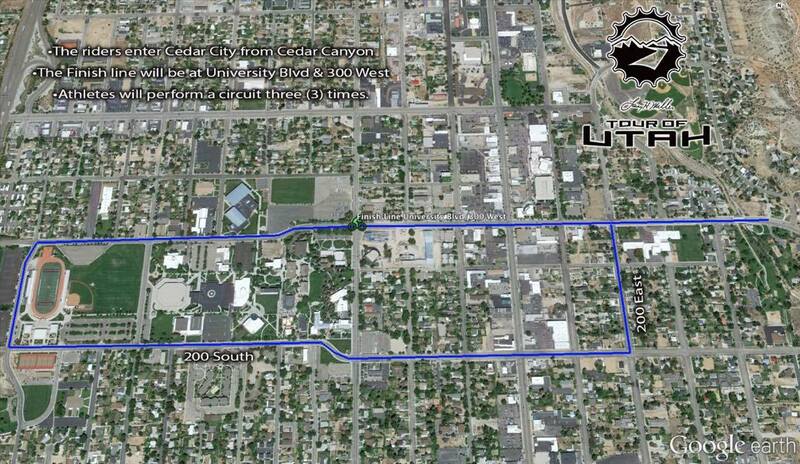 According to the map shown by Dangerfield and Treanor, who are also members of the Local Organizing Committee for the Tour of Utah, cyclists will come down Cedar City on state Route 14 onto Center Street, which eventually merges onto University Boulevard. From there, they will take three laps around the SUU campus to 1150 West, around the football stadium and eastward on 200 West/ Thunderbird Way to 200 East and then left onto University Boulevard. The team presentations will take place on the Ashton Family Greenshow Commons stage at the Beverley Center for the Arts on Saturday, July 30. Alternate traffic routes during race time will be sent to the media and published online to inform motorists and minimize delays. The decision to include SUU in the race by having the finish line at the new Beverly Center and Museum of Art, which are both located on campus, is exciting for the university, Treanor said. This allows the school and city to show off their new flagship buildings, she added. Tour of Utah Stage 1 begins August 1.